AdSense is the best way to monetize your websites traffic but keep in mind that AdSense is not a get rich quick scheme (that's in case you're looking for such). Why? Because to earn big with AdSense you have to build a website first and much more. Building a website is not so hard, the hard thing is to find the right niche, the right topic to write about on your website on a daily basis, or at least every 2-3 days. In fact the success is accomplished with one published article per day. Not more not less. With the right SEO on your blog, the traffic start increase and your AdSense revenue too. Believe me, I have friends earning hundreds of dollars per month. So after you build your website, you must Join AdSense, once they approve you get the advertising codes to implement in your website, when this step is done on your website is showing Ads by Google. Ads display are relevant to whatever your topic is about or is set by cookies stored into visitor's computer. People interested in these ads are going to click them to find out more about service/product is being advertised, in that moment you get paid 68% from what advertiser is paying to Google, rest of the money goes to Google. Sound a fair deal if you ask me! This CPC means Cost Per Click, being paid every time someone click an ad, however do not try to click your own ads, Google see this and will close your account. Also Google will not show relevant Ads if you don't have enough content, so be sure you have at least 50 articles on your website before implement codes to show Google Ads. More content is more money in long term plan! This is Revenue per 1000 Impressions. But let's not forget is an estimate of how much you may earn if you have 1000 page views. If you made, for example, $3 for 1000 impressions, your RPM would be $30. There's no guarantee you'll make that much at the end, but it's good to check the overall performance of your websites. You may heard this but still not understand what is all about. This means earning depends of your content quality, if you don't post good and helpful content you're going to earn this much: $0. Why? Traffic will not come, many other pages offer information like yours but more helpful than yours and traffic goes to them. 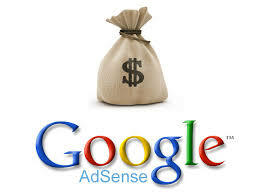 In order to generate money with AdSense you must have people who visit you site pretty often. So there is one rule: Get the word out! Achieve this by sharing your article links on large social sites like Facebook and Twitter, commenting on other blogs or even by buying traffic. Well this is it, good luck my friend!